Most bed bug bites are initially painless, but later turn into large, itchy skin welts. These welts do not have a red spot in the center as do the bites from fleas. Although bed bugs and their bites are a nuisance, they are not known to spread diseases. 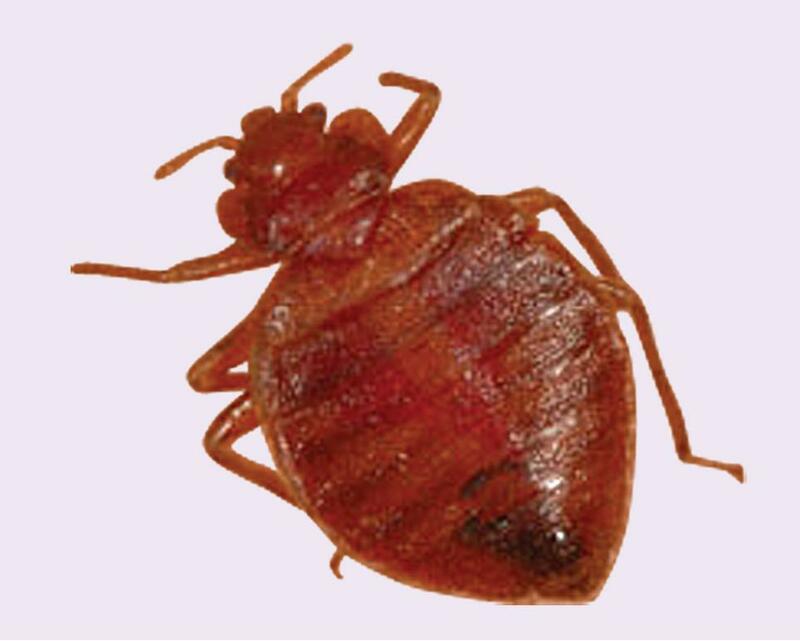 In most cases, people carry bed bugs into their homes unknowingly, in infested luggage, furniture, bedding, or clothing. Bed bugs may also travel between apartments through small crevices and cracks in walls and floors. You may notice itchy skin welts. You may also see the bed bugs themselves, small bloodstains from crushed insects, or dark spots from their droppings. It is often hard to find them because they hide in or near beds, other furniture, and in cracks. SHOULD I USE A PEST CONTROL COMPANY? Find and eliminate their hiding places. Treat your home with special cleaning and/or pesticides if necessary. Uses the least toxic pesticide. Follows instructions and warnings on product labels. Advises you about staying out of treated rooms and when it is safe to reenter. In the seams and tufts of your mattress and inside the box spring. Other bedroom items, including window and door casings, pictures, moldings, nearby furniture, loose wallpaper, cracks in plaster and partitions, and clutter. Clean bedding, linens, curtains, rugs, carpets, and clothes. To kill bed bugs, wash items in hot water and dry them on the highest dryer setting. Soak delicate clothes in warm water with lots of laundry soap for several hours before rinsing. Wool items, plush toys, shoes, and many other items can be placed into a hot dryer for 30 minutes to get rid of bed bugs. Scrub mattress seams with a stiff brush to dislodge bed bugs and their eggs. Vacuum mattresses, bed frames, nearby furniture, floors and carpets. Pay special attention to cracks and open spaces. Immediately after vacuuming, put the vacuum cleaner bag in a sealed plastic bag, and dispose of it in an outdoor container. If you find bed bugs on a mattress, cover it with a waterproof, zippered mattress cover labeled “allergen rated,” or “for dust mites.” Keep the cover on for at least one year. If your box spring is infested, seal it inside a vinyl box spring cover for at least one year. If no cover is available, throw the box spring away. Dispose of infested items that cannot be cleaned and get rid of clutter. Seal tightly in a plastic garbage bag and discard in an outside container. Repair cracks in plaster and repair or remove loose wallpaper. Only use pesticides clearly labeled for bed bug extermination. Never use a cockroach spray, ant spray, or any other pesticide that does not list bed bugs on the label. Avoid using “insecticide bombs” and “foggers” in your home. These products can spread hazardous chemicals throughout your home, and are not likely to be effective against bed bugs. Wash clothing and inspect luggage immediately after returning from a trip. HOW CAN I KEEP MY FURNITURE FROM INFESTING SOMEONE ELSE’S HOME? Never resell or donate infested furniture or clothing.